Are you one of those small business owners or marketers who spend hundreds of dollars every month on business marketing, but still fail to achieve your targets? If you can relate to this, then it is highly likely that you are either marketing to the wrong audience or your practices are outdated and hence, ineffective. While everyone knows that digital marketing has taken over traditional forms of marketing, many people struggle with online marketing. Many businesses struggle to attract and engage the audience despite investing a lot of time, effort, and money because they use the wrong platforms. The key to gaining the audience’s attention is to market your products or services on platforms they are most active on, i.e., social media. How to Promote a Business on Social Media? The platform that a business uses for marketing can make a huge difference. As mentioned earlier, many people fail to gain their audience’s attention because they don’t reach out to them through the right platforms. With the presence of so many social media platforms, you need to find out where your target audience is most active. Also, you need to consider which platforms best fit your products or services. For example, if you are a video production company, YouTube will not only connect you with your target audience, but it will also allow you to showcase your work. Many businesses make the mistake of aggressive self-promotion in an attempt to attract and engage the audience. However, going overboard with social media promotion and social media advertising can do your business more harm than good. The online community has very little tolerance for too much promotional and salesy content. This is why expert marketers focus more on creating valuable content over creating ads. Content helps to connect and win the trust of your target audience. When people trust your business, they not only buy from you, but are also likely to recommend you. According to the famous one-in-seven rule, only one of every seven social media posts should be solely promotional. The remaining six posts should focus on providing valuable content, such as blog posts that resolve your audience’s problems or addresses topics that they want to know more about. While the goal of these six posts should be to help people, you can subtly promote your products by presenting them as solutions to the problems highlighted in the content. You can also ask conversation starter questions to promote audience engagement. Social Media Marketing is No More a Choice! 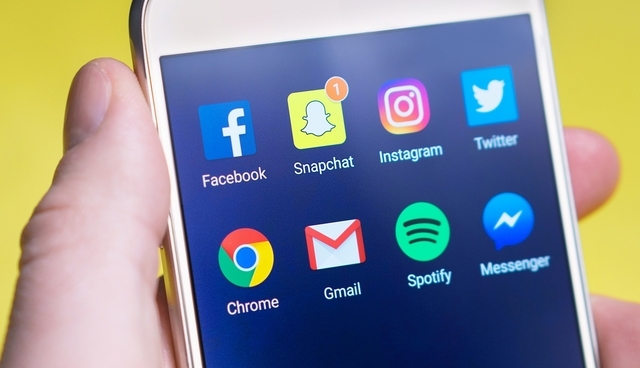 With nearly 3 billion active users, social media is a potential goldmine for marketing your business, gaining new customers, and retaining existing customers. For most businesses, it is no longer a choice, but a key element of their marketing strategy. If you are new to the world of business, marketing or social media advertising, it is best to equip yourself with the knowledge regarding the tools and best practices to help you succeed online. The Online Entrepreneur Certification – Mastering Social Media Engagementis a course dedicated to teaching you all about how to use social media to promote your business. Offered by Wealthy Affiliate, the certificate course has ten lessons on social media engagement, social media promotion, social media advertising, and the best ways to use different social media networks. If you have any questions or comments on how to use social media to promote a business online, please leave them in the comments section below. Next Post:A Quick Guide To Affiliate Marketing: Can You Really Make Money from It?